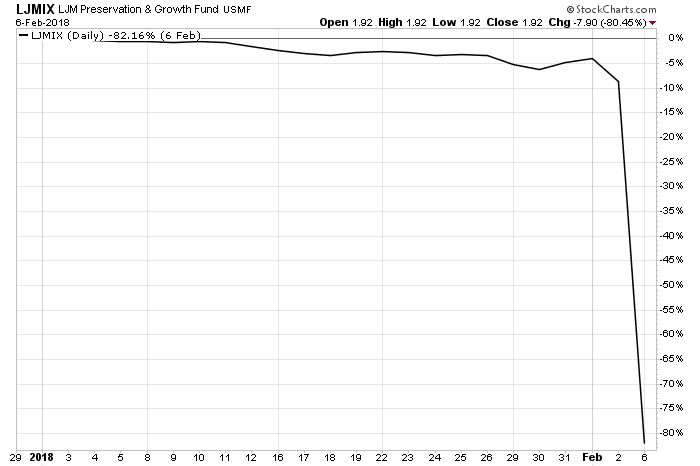 And then the fund suffered another, 54.6% fall to $1.94 a share on Feb. 6—a two-day total decline of 80%. “It may be the biggest two-day drop for a mutual fund ever,” says Gretchen Rupp, a Morningstar analyst who covers the fund. Like mountain climbing itself, the reality proved far scarier—especially for a fund with “preservation” in its name. “The fund sold naked put options on S&P 500 futures,” says Rupp. “It was leveraged and had above-average margin [borrowing] levels.” A put option is a contract that allows its buyer to sell a security at a specified price, the strike price. This allows the buyer to hedge a position or an entire portfolio; if the price of the security falls below a certain level, the option buyer will at least make money on the option. When an institution “writes” or sells a put option to a buyer, the seller is betting that the price will stay higher than the option price. When the seller doesn’t own the actual securities on which it is writing options, that is called “naked” option writing, and it amplifies downside risk. Standard & Poor’s 500 option prices are determined in part by market volatility; the more volatile the market, the more likely the option will hit its strike price and become profitable. LJM was betting that the market wouldn’t become too volatile—a strategy known as shorting volatility. “The VIX [volatility index] spike on Monday was the sharpest spike in history,” Rupp says. The VIX more than doubled from 17 to 37. So leveraging the fund’s bet against it proved disastrous. 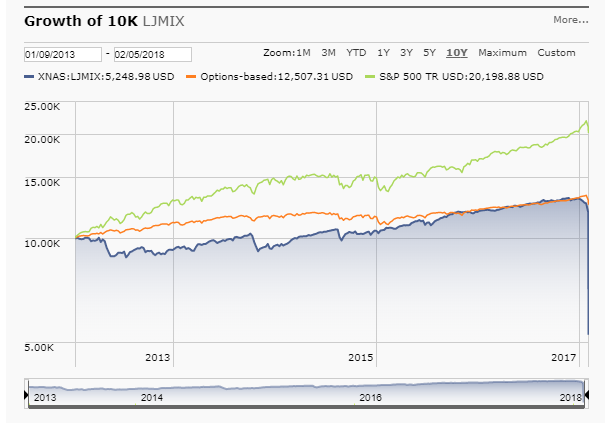 According to LJM’s prospectus, the fund’s investment objective is to seek “capital appreciation and capital preservation with low correlation to the broader U.S. equity market.” Nothing in that statement proved true on Feb. 5. “This fund should never have been marketed to fund shareholders as a tool for capital preservation,” Rupp says. “Preservation and Growth Fund”. At least they have a sense of humor (but I doubt the investors do). This is not accurate. Those strategies can produce very good returns if used properly. What most experts are missing is the simple fact that the problem is not the strategy. The problem is leverage. Strategies don’t kill accounts. Leverage does. I did some simulations of how those strategies would perform on Feb.5 without leverage. Using different strikes and expirations, the fund would be down around 10-15%. Not pleasant, but survivable. I can’t even imagine how much leverage they used to be down 56% in a single day. LJM Preservation and Growth Fund was not the first to fall into the leverage trap. We all still remember the story of Karen Supertrader who suffered significant losses due to excessive leverage. I described what happened there in my articles Karen The Supertrader: Myth Or Reality? and Karen Supertrader: Too Good To Be True? Another famous case of excessive leverage was Victor Niederhoffer. This guy had one of the best track records in the hedge fund industry, compounding 30% gains for 20 years. Yet, he blew up spectacularly in 1997 and 2007. Not once but twice. Are you Aware of Black Swan Risk? “A year after Nassim Taleb came to visit him, Victor Niederhoffer blew up. He sold a very large number of options on the S. & P. index, taking millions of dollars from other traders in exchange for promising to buy a basket of stocks from them at current prices, if the market ever fell. 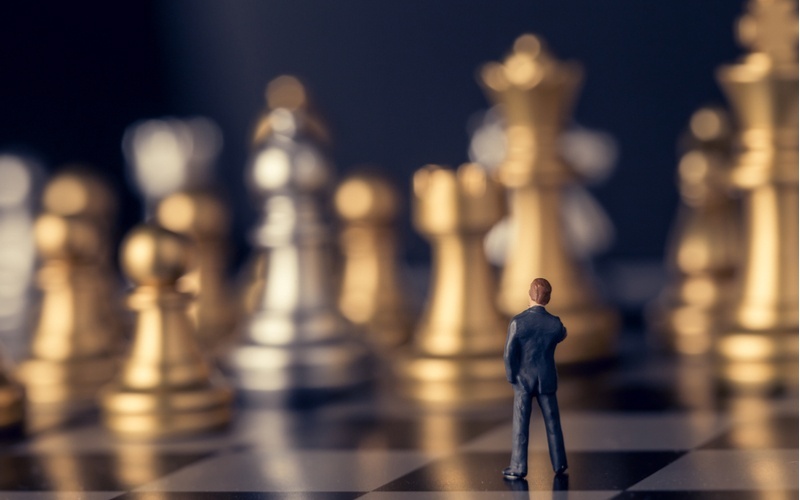 It was an unhedged bet, or what was called on Wall Street a “naked put,” meaning that he bet everyone on one outcome: he bet in favor of the large probability of making a small amount of money, and against the small probability of losing a large amount of money-and he lost. On October 27, 1997, the market plummeted eight per cent, and all of the many, many people who had bought those options from Niederhoffer came calling all at once, demanding that he buy back their stocks at pre-crash prices. He ran through a hundred and thirty million dollars — his cash reserves, his savings, his other stocks — and when his broker came and asked for still more he didn’t have it. In a day, one of the most successful hedge funds in America was wiped out. Niederhoffer had to shut down his firm. He had to mortgage his house. He had to borrow money from his children. He had to call Sotheby’s and sell his prized silver collection. A month or so before he blew up, Taleb had dinner with Niederhoffer at a restaurant in Westport, and Niederhoffer told him that he had been selling naked puts. You can imagine the two of them across the table from each other, Niederhoffer explaining that his bet was an acceptable risk, that the odds of the market going down so heavily that he would be wiped out were minuscule, and Taleb listening and shaking his head, and thinking about black swans. “I was depressed when I left him,” Taleb said. “Here is a guy who, whatever he wants to do when he wakes up in the morning, he ends up better than anyone else. Whatever he wakes up in the morning and decides to do, he did better than anyone else. I was talking to my hero . . .” This was the reason Taleb didn’t want to be Niederhoffer when Niederhoffer was at his height — the reason he didn’t want the silver and the house and the tennis matches with George Soros. He could see all too clearly where it all might end up. In his mind’s eye, he could envision Niederhoffer borrowing money from his children, and selling off his silver, and talking in a hollow voice about letting down his friends, and Taleb did not know if he had the strength to live with that possibility. Unlike Niederhoffer, Taleb never thought he was invincible. You couldn’t if you had watched your homeland blow up, and had been the one person in a hundred thousand who gets throat cancer, and so for Taleb there was never any alternative to the painful process of insuring himself against catastrophe. Well, guess what – unexpected events happen. More often than you can imagine. But when we give our hard earned money to professionals to manage them, we expect better. Karen SuperTrader: Myth Or Reality?